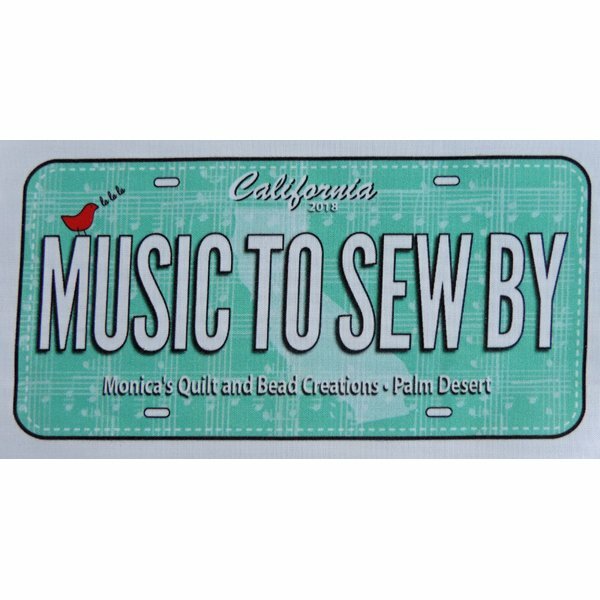 Music to Sew By is one of two fabric license plates we created. Add these novelty printed panels to any project, tote or quilt. They are 100% cotton and washable in the gentle cycle.